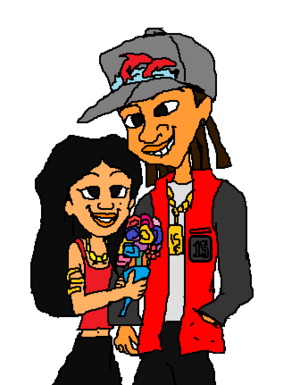 Penny Proud and Fifteen Cent on the تاریخ Ending. . Wallpaper and background images in the The Proud Family club tagged: photo. This The Proud Family photo might contain ڈاؤن لوڈ ہونے والے, مزاحیہ کتاب, منگا, کارٹون, ہالی ووڈ, and کامک بُک. ارے ya ll Dijonay and Sticky See Penny and 15 are True Love. Penny Proud Side سے طرف کی Side.